Dublin star Jack McCaffrey. Picture: Hugh Russell. A couple of days before the 2016 drawn All-Ireland final between Dublin and Mayo, Jack McCaffrey and Conor Mortimer pitched up at the St Brigid's club grounds for a GOAL charity event. McCaffrey was the reigning Footballer of the Year but didn't play for Dublin in the 2016 Championship as he'd spent several months in Africa, volunteering for work in a hospital out there for a period. He was first into the Brigid's car park that day and arrived in a beat up little two-door car that looked like it might creak under the pressure of a packed gear bag. Moments later, Mortimer, heavily tattooed and hair bleached blonde, raised dust as he arrived in a giant BMW jeep that, for a few moments, seemed to block out the sun. 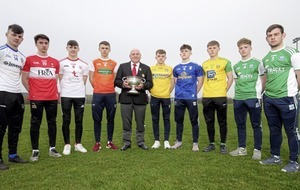 Mortimer has always been a master of pomp and overstatement while McCaffrey has tended to trade in subtle brilliance since bursting onto the inter-county scene five years ago. Truth be told, the jet-propelled wing-back didn't have much need for a car at that stage as he cycled from his Clontarf home to UCD most days while studying Medicine. The apple clearly doesn't fall far from the tree in the McCaffrey house because his father, Noel, an All-Star half-back in 1988, once cycled from Dublin to Tullamore to watch a game. Jack presumably has a comfortable set of wheels these days as he was unveiled as an ambassador for a Toyota garage earlier this year and drives up to work each day now at Our Lady of Lourdes hospital in Drogheda. His style of play is more akin to a getaway driver and the searing burst of pace that he possesses on the left flank has the potential to wreck Tyrone's All-Ireland dream. They felt a little of his force in the Super 8s game in Omagh last month though that was only the 24-year-old's second start of the season after returning from a cruciate knee ligament injury. He has four starts behind him now and after being carried off early in last year's final will savour every moment of this one. "I've spoken about it before, that the parades around Croke Park are the coolest thing ever," smiled McCaffrey. "I just feel like a child going around really." That's how he plays too, like a kid with a yard of pace more than all of his pals who doesn't quite realise why others find the game so difficult. Naturally, he wondered if the cruciate injury might dull that natural speed which once marked him out as a promising rugby player. "Funnily enough, my strength would be running with the ball as opposed to pure speed, I mean Paul Mannion would be quicker than I would be in terms of pure going at it," he said. "But I feel as quick as I was. It was something I was worried about and it's only when you get out at Croke Park and you get a ball in your hand and you just go that you finally feel it's there again and that you're back. But I think I'm back similar enough." 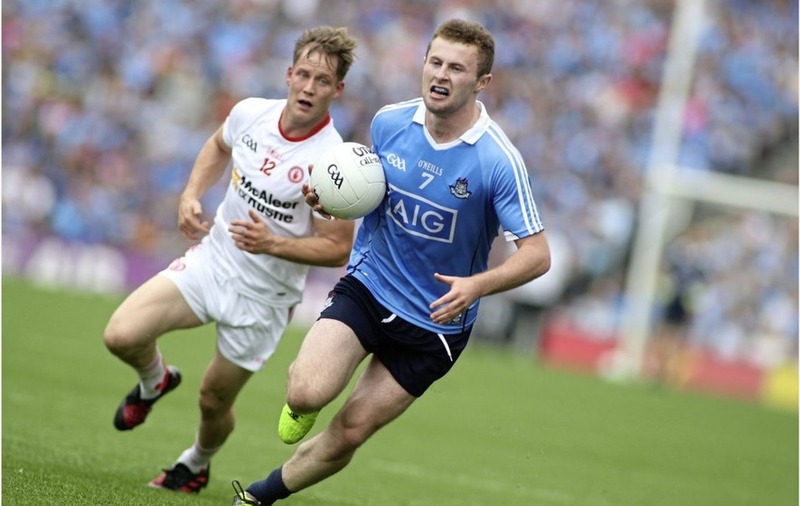 Tyrone, at least, are forewarned having faced Dublin and McCaffrey at Croke Park in last year's semi-final. At one stage in the second-half of that game, McCaffrey stormed forward, played a neat one-two and looked into the whites of Niall Morgan's eyes before applying an errant finish. He scored a point in that 12-point win and hit one in Omagh a few weeks ago too. In the buildup to Sunday, his preference is to keep things low key and to give himself the best possible chance of playing with freedom and, ultimately, expressing himself again. "It's not the kind of thing that's in your head every waking hour of the day but it's a really special time all the same," he said. "You find yourself chatting about football to people you might meet for a conversation around Clontarf when you're out having a stroll. It's a very enjoyable time. "We're fortunate enough in that we've been in this situation a number of times, preparing for finals, so you don't get carried away. It's easy for it to happen, that you could overthink things and lose the run of yourself but I think we're all clued in enough now to stop that happening. "And if people want to chat football to me, fine. I'd talk to anyone about anything really. In my house we struggle to talk about anything other than football over dinner. It drives my Mum crazy but it's normal and it's normal to chat about it with people you'd meet on the street too." McCaffrey was down in the Beaumont House pub with pals for the Tyrone-Monaghan semi-final, taking notes. 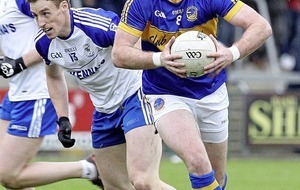 "It was hammer and tongs," he said of the game which Tyrone eventually edged. "You knew it was always going to be tight. Monaghan and Tyrone know each other so well at this stage and that's how it has played out. I think it was their third time playing this year. "They battered each other basically and it came right down to the final play of the game. Whatever team came through, they were always going to have earned their place." If Dublin can get it done and McCaffrey can experience his fourth All-Ireland final win, the TV cameras will inevitably be trained upon him on Sunday evening at the Gibson Hotel. It was he who, hours after suffering that cruciate injury last year, joked and blagged his way through a series of live TV interviews, comically stroking his chin and appearing amused at times at the serious tone of the questioning. He got his 'fair share of criticism' for acting the maggot but noted pointedly that 'I've found, it's quite an Irish thing to give out about people'.